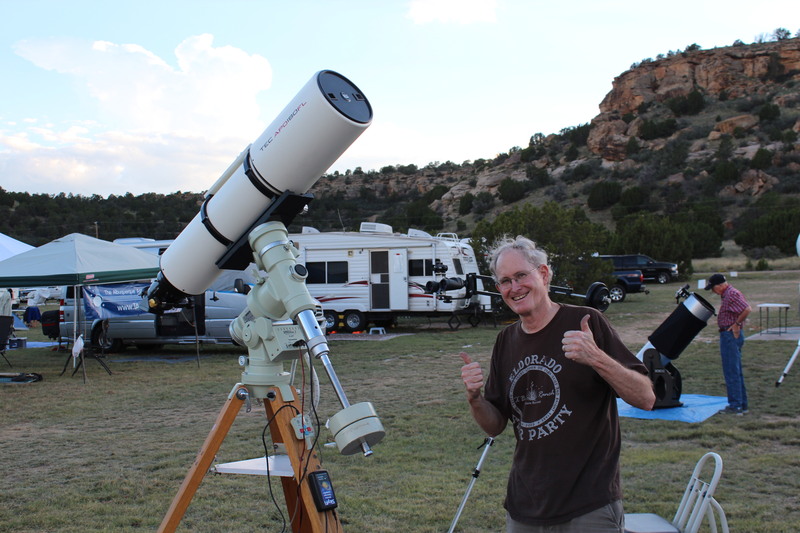 Astronomy related discussions, photos, and links. 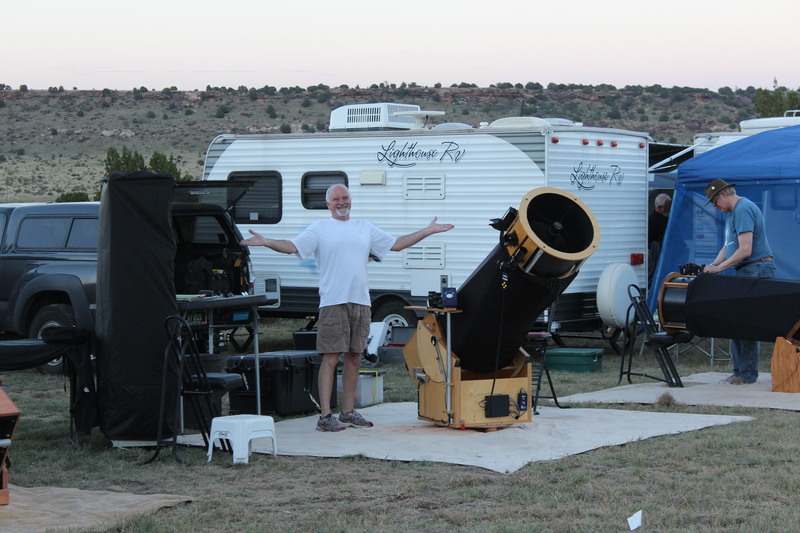 Because I was limited in my travel abilities I was very disappointed that I couldn’t join my friends in the path of totality for the 2017 eclipse. 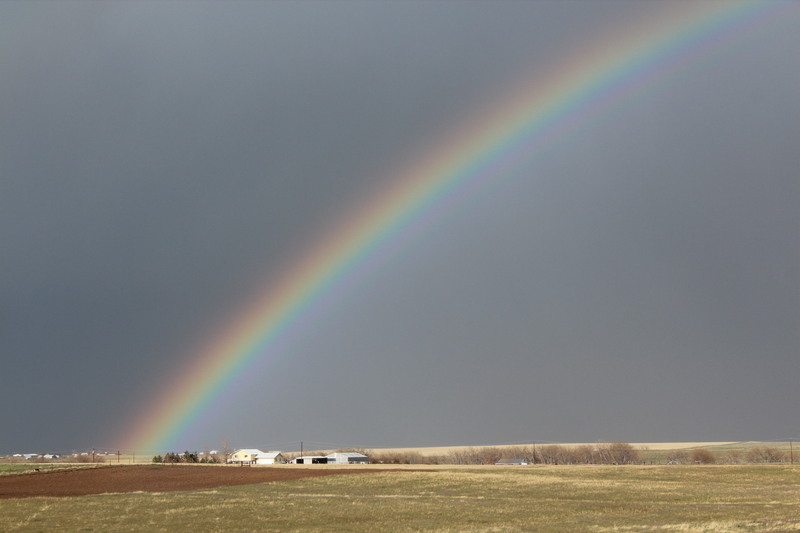 The consolation prize was that here in Colorado we had 93% coverage but that did not create the diamond ring, Bailey’s beads or the Coronal display that can only come from a total eclipse. So we donned our eclipse glasses and watched the show. I took up residency in front of the solar array. I thought it an appropriate place to observe. 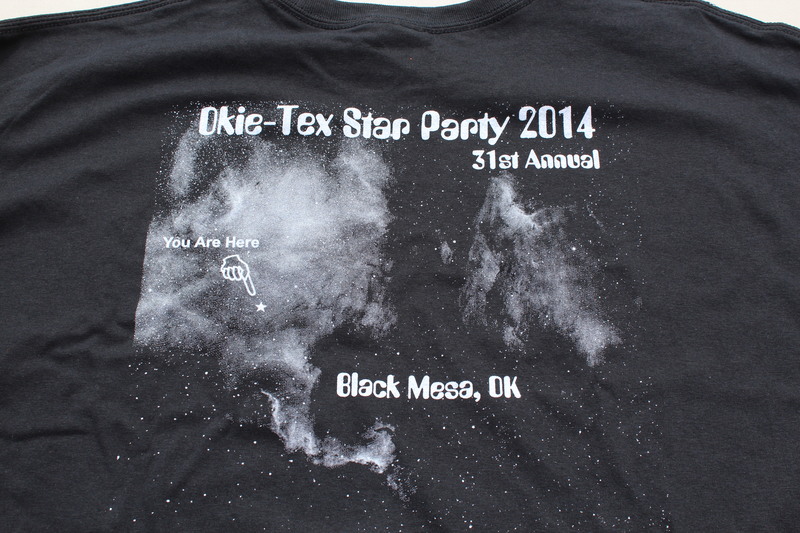 Aaron and I made it down to Okie-Tex Star Party on Friday evening. It is in the panhandle of Oklahoma near Kenton Oklahoma (not sure how it ever got a name as it it basically a bar and a church). 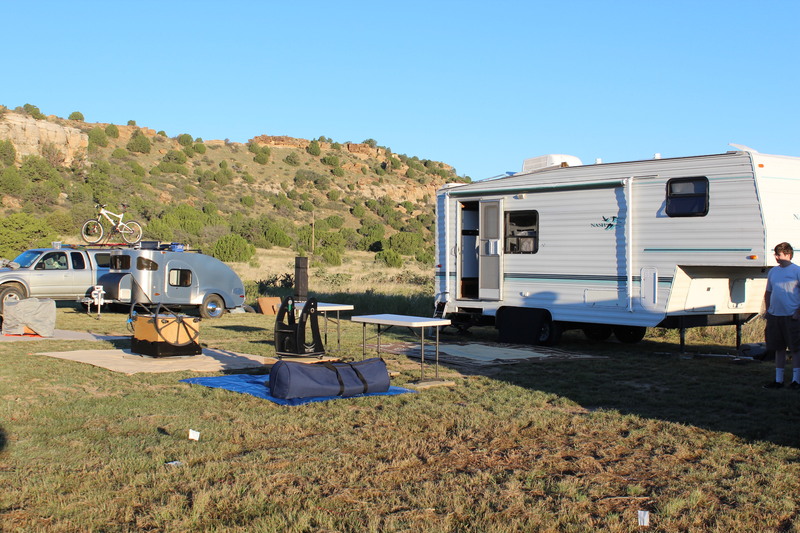 After a two year hiatus while we built out the farm the trailer made it with no issues and the astronomy gear has been “stellar”! Saturday morning we arrived at the entrance at 7 am to stake out our territory. The guys I am with have done this numerous times and knew just where to set up. 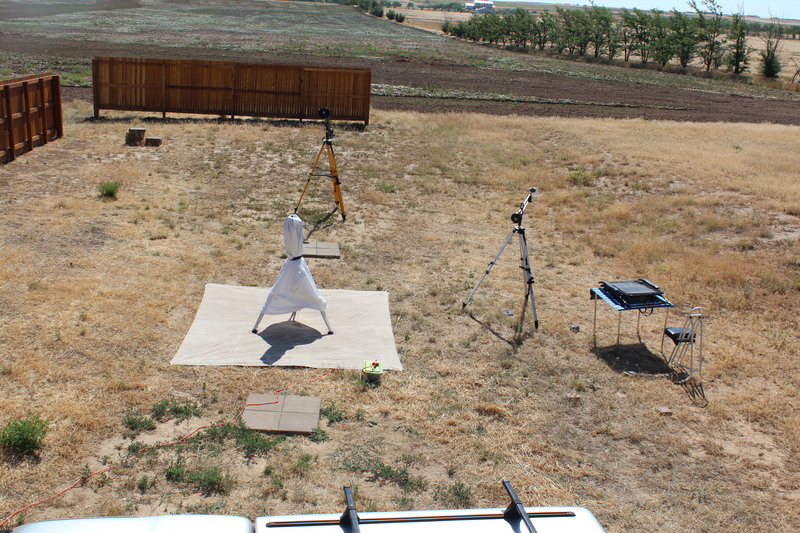 As we speak, the field is filling with all of the usual astro gear and gizmos. Some is very simple and basic, others intensely hi-tech. One thing for sure, we are not surrounded by the uneducated sort. This is geek central. Just my crew consists of me (a financial advisor), two attorneys, two software engineers and a physician. The skies are incredibly dark. We were able to see the milky way from horizon to horizon. This is getting harder and harder to find due to the light domes emitted from our apparent fear of the dark. 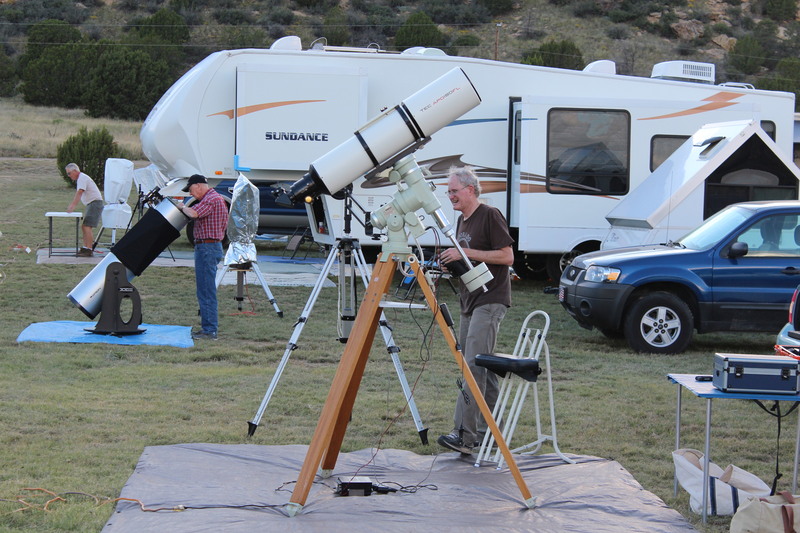 The first night of observing usually involves the pleasure cruise of hunting the more prominent eye candy. 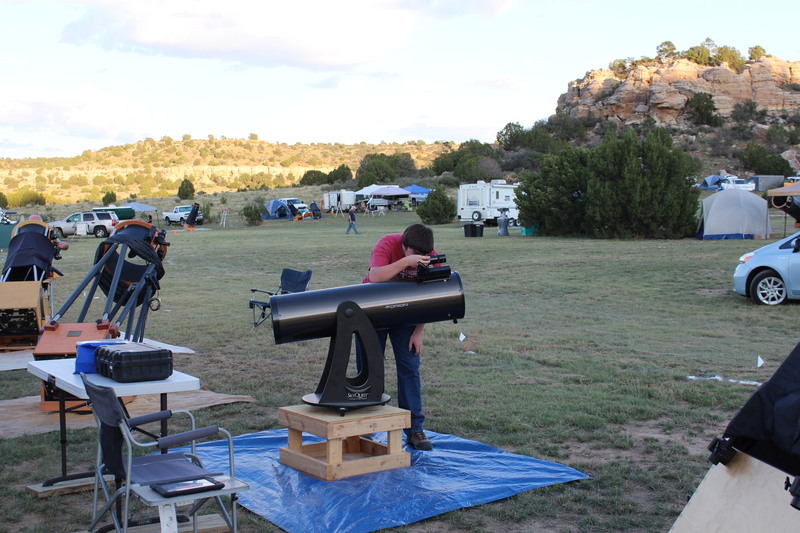 Local folks know the event is happening and are eager to have us help them tour the galaxy. The Swan, Lagoon, Trifid, and Eagle nebula near Sagittarius are big hits. Andromeda, our nearest galaxy, is an eye opener as well as the big globular clusters of M13 and 92 in Hercules and M22 in the southern sky. They wow big time as they look like giant galactic diamond rings made up of millions of old stars. 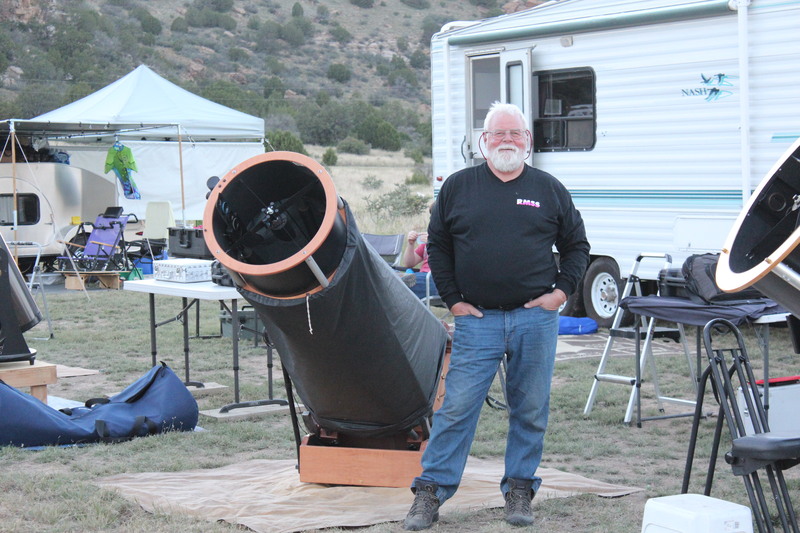 Going forward, most of the astronomers will go deep. 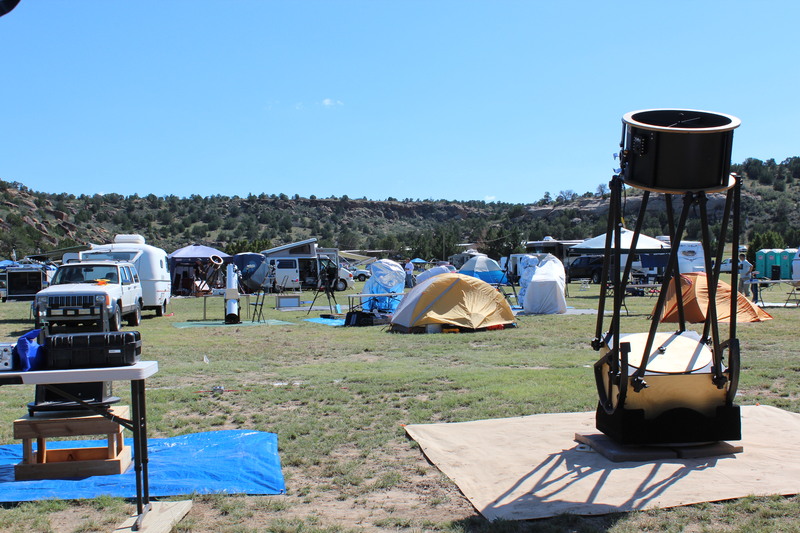 They will break out the observing lists and settle in to a week of hunting down faint fuzzies that will include galaxies hundreds of millions of light years away. 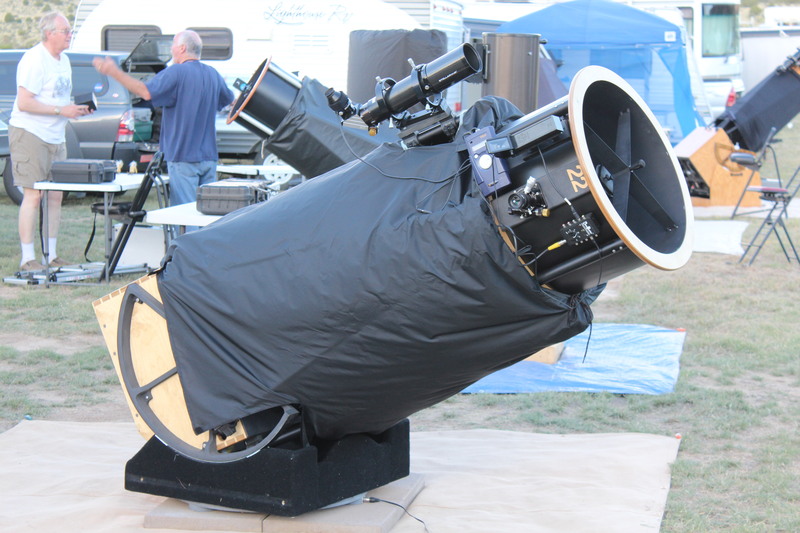 Many will be imaging, using their high tech polished glass, CCD cameras and computers to capture and create images of amazing clarity. This is a badly needed break. 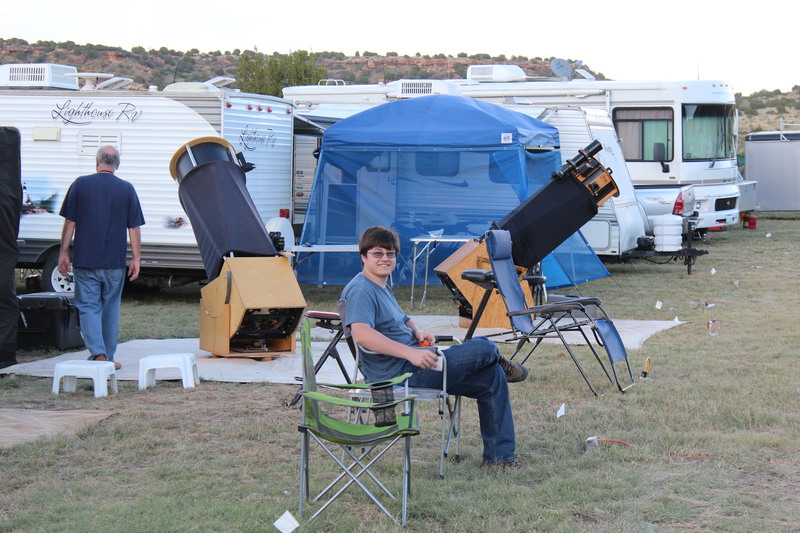 It has been over two years since our last star party and hanging with friends and especially my son for a week is a rare treat. Much thanks to my wife for kicking me out the door. She says the dog keeps looking out the window wondering where we are. I miss them a bunch, but wasn’t about to turn this down. Now that we are here…. it looks like it needs to be an annual event. The Boys with their toys (mine is the closest and Aaron’s is the one next to it. 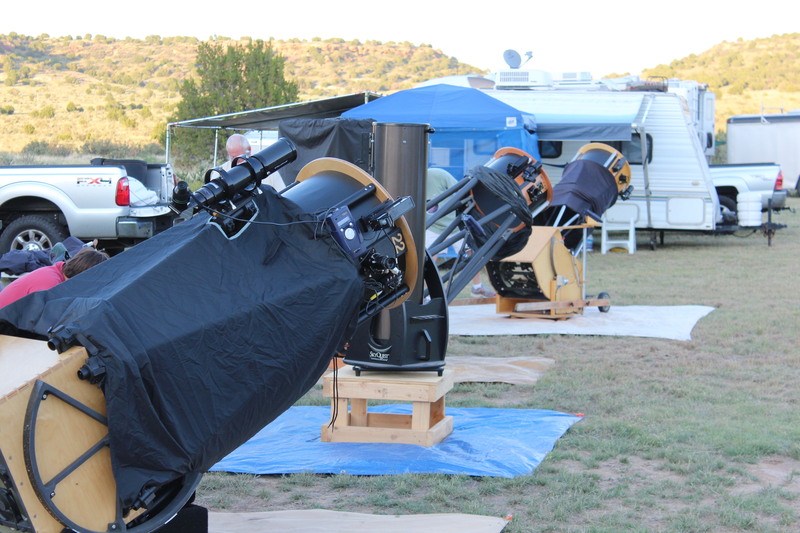 My scope on the right and some of the other astronomers getting their gear assembled. Our arrival and just getting the gear out onto the ground. It is a long and heavy ordeal to get everything situated. One doesn’t go to these for just a day or two. It takes to long to set up and take down. An interesting thing about being out here on the plains is the ability to see storms build and move on. The other day I watched a storm develop where lower level clouds were blowing west while the upper level clouds were headed south and east. 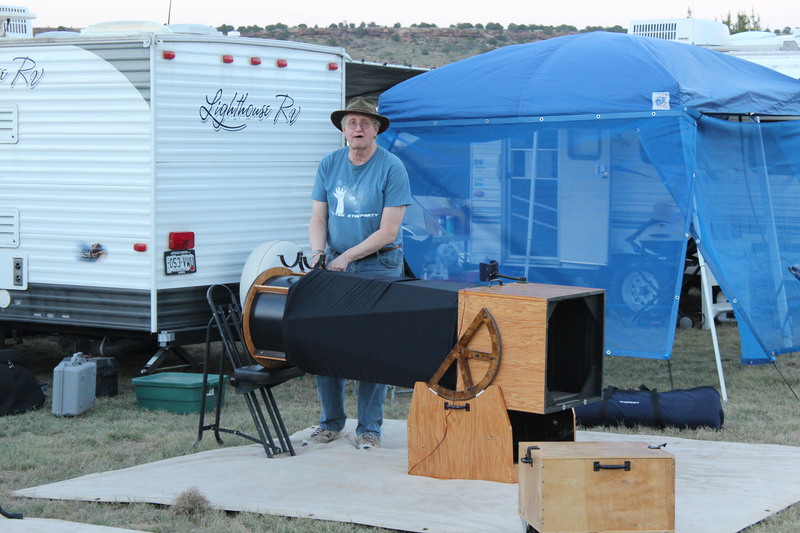 I was convinced that it was going to spin up a tornado. Fortunately it ended up being just a severe thunderstorm. While we are in a drought (especially south of us near Colorado Springs) we seem to have entered into a period of monsoons. 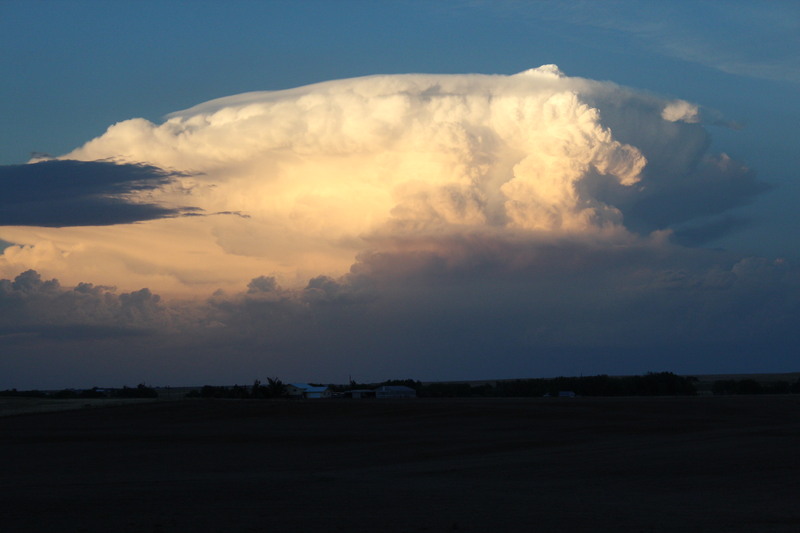 For the past month, every afternoon around 4 o’clock the thunderheads build over the mountains and seem to pick up steam as they head east over us and then out into Oklahoma, Kansas and Nebraska. 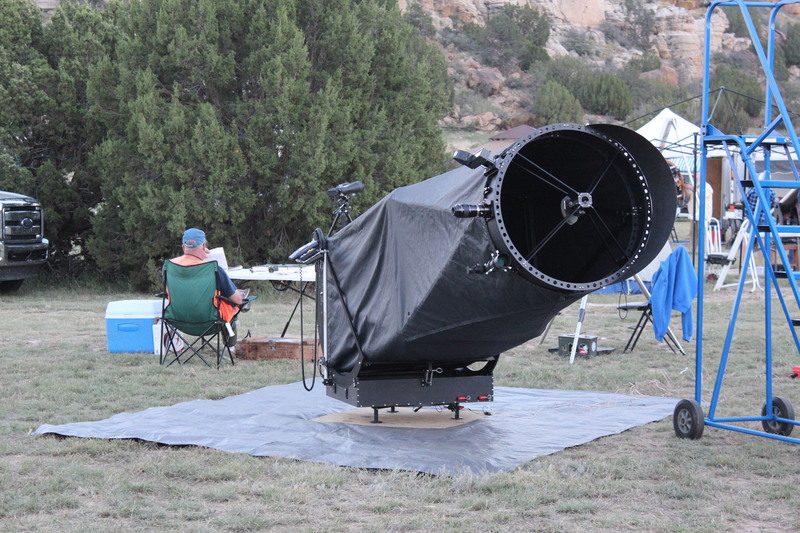 We are getting some badly needed rain but of course that means that using the telescope has been out of the question. 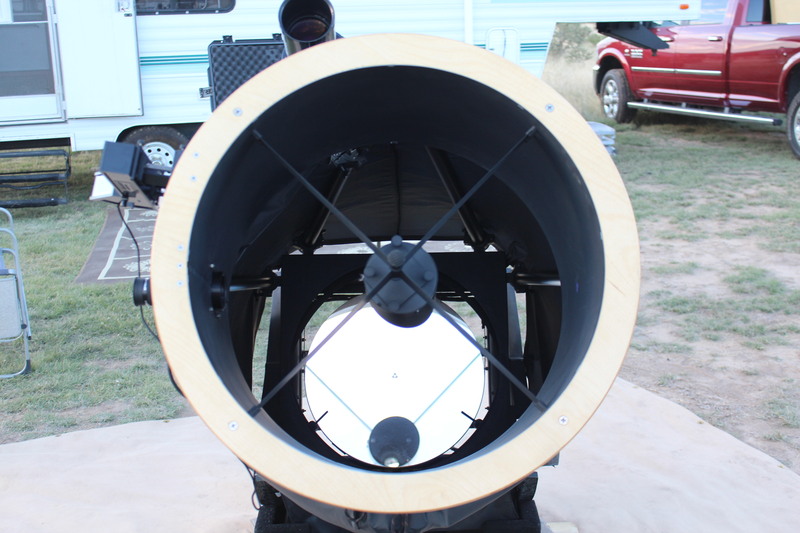 As new moon is this week, I had thought seriously about bringing the scope out and leaving it up all week. I am here acclimating the chickens to the coop and had some time on my hands. Fortunately I didn’t get to it. Yesterday we had at least 40 mph sustained winds out of the north. It had the potential of laying the VLT flat and I would have been a sad puppy. So I am watching the weather and the charts to see if there is a chance there will be any clearing into this next weekend. In the meantime, here is the gift we sent to Kansas this evening! Auntie Em, Aunti Em!! Wait a minute! This wasn’t here yesterday! 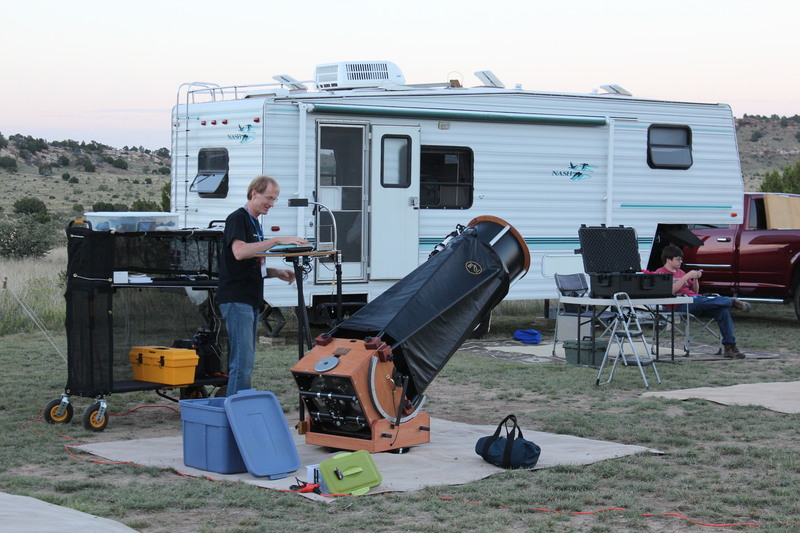 The astronomy observing field had a couple of issues with bright neighbor lights. A few months ago we had the main privacy fence put up to block an annoying light to our north (white lights destroy night vision). Once that was up and we were enjoying the darkness, we discovered of course, another light that is on occasionally to our east (the prime observing direction for our yard). 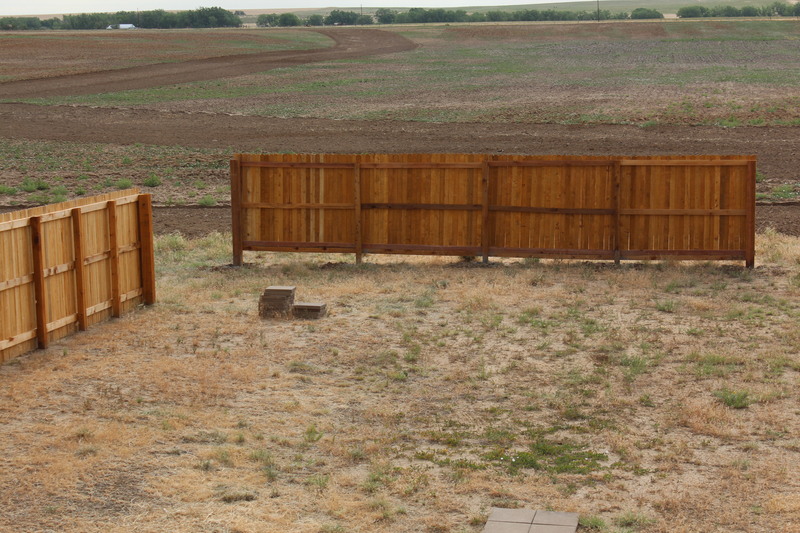 Not wanting to spend the usual arm and a leg to have another 32 foot section of fence set up, I bought the parts and did it myself (Aaron helped with the screws). 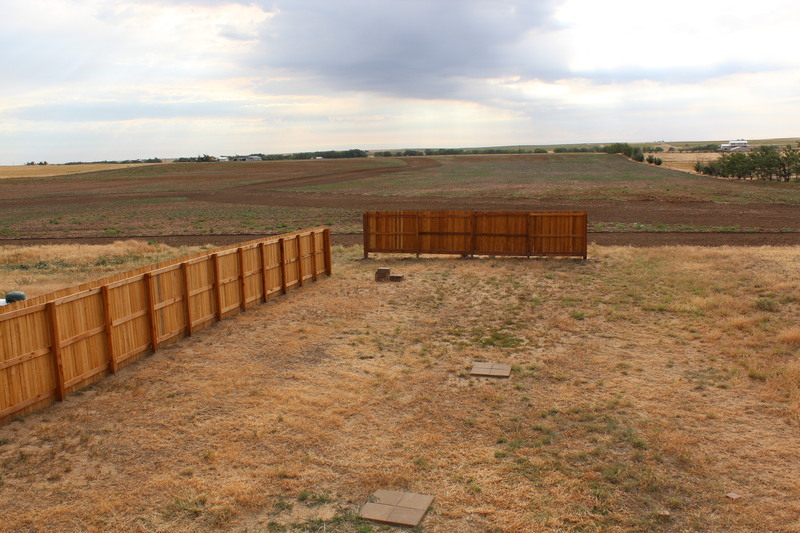 Yesterday (June 29th), after fighting a body that was rebelling against yet another day of lifting and positioning heavy stuff, I got out and cemented in the posts, ran the stringers and attached the pickets. The ground out here is kind of funky. According to one of my contractors, the soil is made up of about 80% sand and 20% clay. If it is wet its pretty easy to dig into. If it is dry its as hard as concrete! I learned a trick from the fencer I hired for the other fence installations. 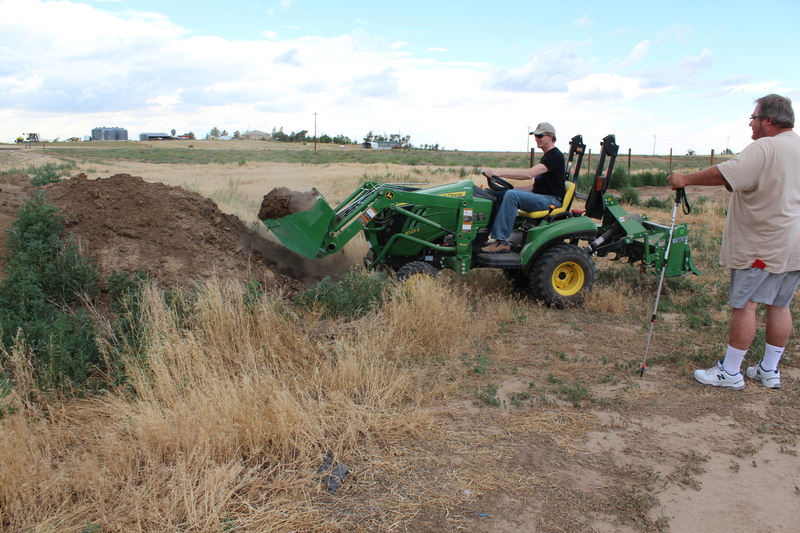 If one takes a power washer and jams the tip down into the dirt where you want to dig a post hole and jet the water down into the ground and get it all soaked down to about 2 feet, the auger slips into the ground ridiculously easy! Prior to knowing that, when I built the dog run, I thought the auger was going to shake me to death. It could only get in about 4 or 5 inches before it would hit dead pan. It took me several weeks of working every weekend to build the dog run with its 11 posts. With this new found magic, I dug the 5 holes for the new fence in a couple of hours! Funny what you can do when you know the secrets! 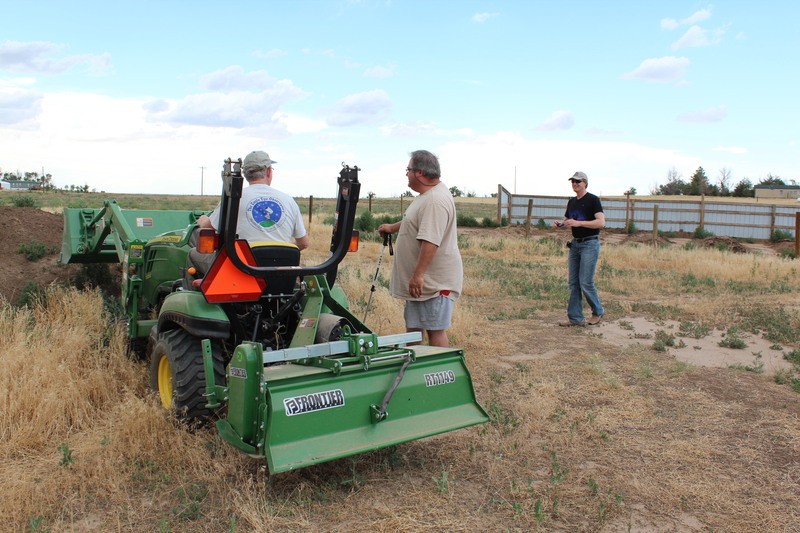 You will notice that the fence doesn’t touch the ground (except for the posts of course). Thats because it is more important that it block out light than keep anything from crawling under it. At some point the grass and weeds, etc., will fill in under it. The ground slopes a little so one side has a larger gap than the other. I will be curious to see how this stands up in our up to 70 mph wind gusts in the winter. It feels pretty stout but if it isn’t then I will likely close the two sections off so they can support each other. But for now, JUGS is ready to go!! 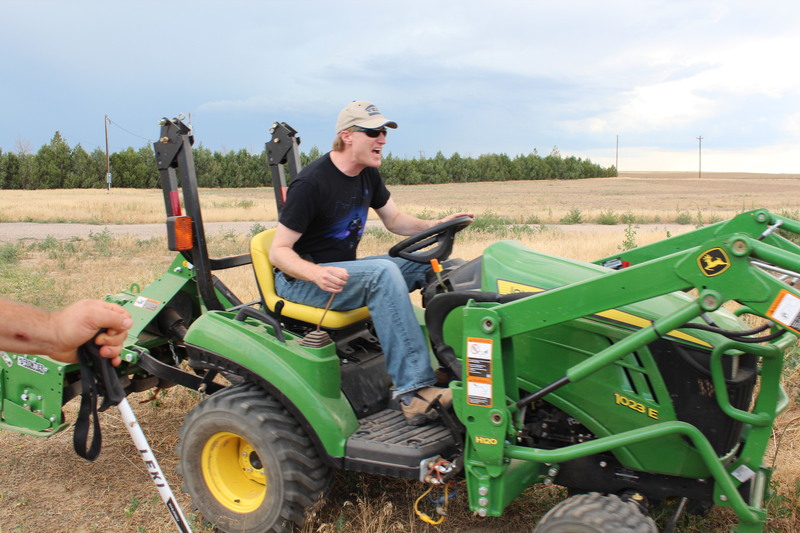 We just had a wicked front blow past us out here at the JAZ Farm – hail, thunder, lightning… the whole kit. 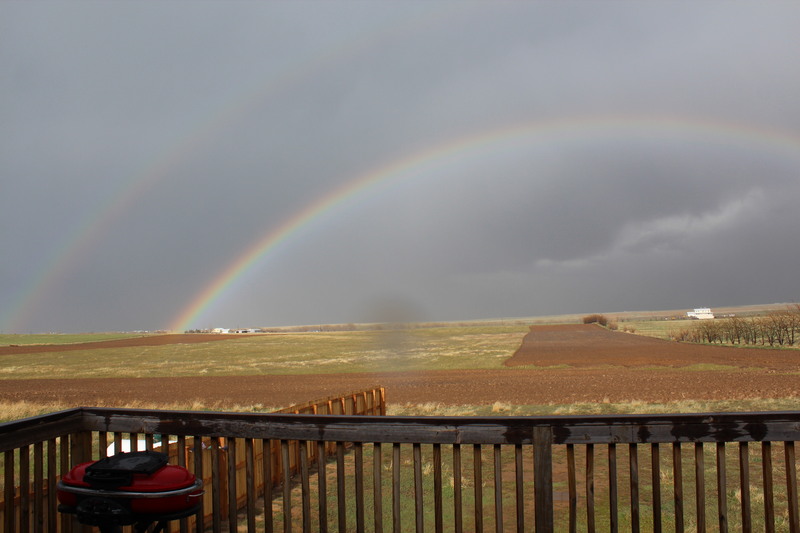 On its way to terrorize Kansas it left us with a COMPLETE double rainbow. It even had the supernumerary band. While that doesn’t bode well for night observing (it is now muddy as all get out) the daytime astronomical event was nothing short of stunning.